THE FLOWER GATE is a performance piece based on conventions of the Noh theater of Japan. Noh, which means ‘perfected art’ was developed from the work of the great theater genius, Zeami (1363-1443), and is one of the very oldest continuous performing traditions still intact. The Noh as a whole is focused on showing the range of ways in which the past enters into the present. It is a theater designed to enact the moment when two worlds meet: people meet gods, travelers meet demons or warrior ghosts, dead courtesans. The living meet the dead. Sometimes this is terrifying, sometimes melancholy, stirring, strangely romantic, and sometimes encouraging. In this particular play, the ghost of an old man relives the shock and then despair of love in old age, before he finally accepts the mask of one who exists only in memory. As in traditional Noh theater, the text is just one part in an ensemble of elements, and also as in Noh, it has been derived from a variety of sources. The underlying point of using borrowed texts from the distant past is to let the sound and presence of those other works resonate in the present. The intention is to make something trans-temporal. The opening is derived from the second section of the Damask Drum, but the overall structure and the largest part of the piece is taken from the text for the Awaji Puppet version of Okina called Sanbaso. In its incarnation in the Noh, Okina is considered the oldest Noh play and is structurally unlike any other piece in the repertoire. Basically it consists of two dances by two deities: the first by the old man, Okina, and the latter by the earth deity, Sanbaso. Okina means ‘old man’, or the ‘ancient one,’ and Zeami believed that he was analogous to the Primordial Buddha. He also held that this play was the source of all subsequent Noh. Okina is always performed as an invocation to bring Heaven and Earth together, ensuring longevity and prosperity at the beginning of a cycle of plays. In the puppet version, it is offered as a New Year’s blessing. Here, in this transformation, perhaps this ancient deity will appear as an invocation for the renewal of culture altogether. It was for this reason that in the flower section there are citations from figures who were culturally seminal in Japan. It is hoped that this play will invoke and sustain a moment of intense charm: a moment when one is charmed, but one’s mind has not moved to the more substantial promptings of desire or images of fulfillment. It is a moment when one is suspended between the real and the possible and both are alive without conflict. How can he see beyond an ebbing stream of years and days? Bright with the lure of first love. She passes downward through the mist. On the bending iris leaf. Her sleeves billow in the cherry flowers. Her scent perfumes the air. “Night rains in secret moistened them. Sparkling in a sun so far away. It lives and will not end. It hovers, shining in the air. Soyo yari chiya ton doh ya. Rises in the empty sky. Shores shift beside the sea and spread. The earth plays with the color of the morning sun. And wait for the moon. Soars on waves of endless longing. This is the dance of ten thousand years. Soft hands will touch the earth and those who dwell here. Sweeping arms will brush away all grief. 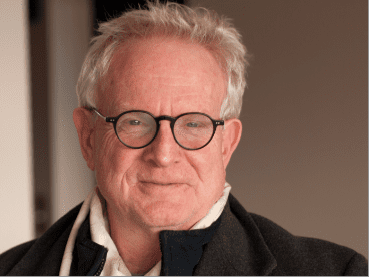 DOUGLAS PENICK has been a research associate at the Museum of Modern Art in New York, a chef at Gordon Matta Clark’s Food, and has written and taught on Tibetan, Chinese, Japanese, and Indian religion, history and culture. He wrote the National Film Board of Canada’s prize winning two part series on the Tibetan Book of the Dead (Leonard Cohen, narrator) and the libretti for two operas: King Gesar (Sony CD w/ Ma, Serkin, Ax et. al.) and Ashoka’s Dream (Santa Fe Opera) with composer, Peter Lieberson. He’s also written pieces to music by Philip Glass and for choreographer Katsura Kan. He is the author of ‘Crossings on a Bridge of Light’, and the ‘Warrior Song of King Gesar’(reprint from Wisdom Publications edition). His novel about the 3rd Ming Emperor, A Journey of the North Star is available from Publerati.